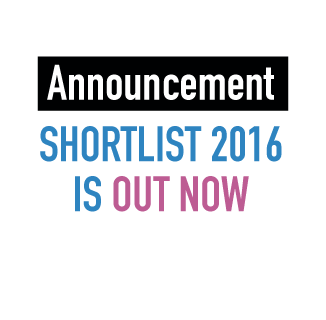 The 2016 Interaction Awards Shortlist is here! We’re thrilled to announce the 68 projects representing 17 countries that have been named for inclusion in the 2016 Interaction Awards Shortlist. Of special interest: 36% of the recognized projects are student works from 11 countries around the world. Congratulations to all! View the shortlisted projects in detail by category. We’d like to thank everyone who submitted their work and shared their stories with us. We’re truly inspired by the overall quality and level of excellence seen throughout all submissions. Whether shortlisted or not, all entrants are warmly encouraged to make their great work the focus of talks, case studies or presentations at IxDA local groups and in classrooms around the world. All shortlisted projects are eligible for the People’s Choice Award, online voting for which will open shortly. Ultimately, the winner of the coveted People’s Choice Award will be recognized during the Awards ceremony at Interaction16 in Helsinki, Finland. Our gratitude also goes to the IxDA members who contributed their valuable time and stewardship to the peer review process. The selection of shortlisted projects is strongly based in this peer review: the practitioner community evaluates entries using established criteria. What’s next? Our esteemed 2016 jury meets in New York City this coming weekend, November 13-15, to argue and select the finalists and winners. Special thanks to School of Visual Arts, MFA in Interaction Design, for hosting the jury weekend. Finalists will be announced just as soon as possible, with all winners announced on stage in Helsinki. We hope to see you there!